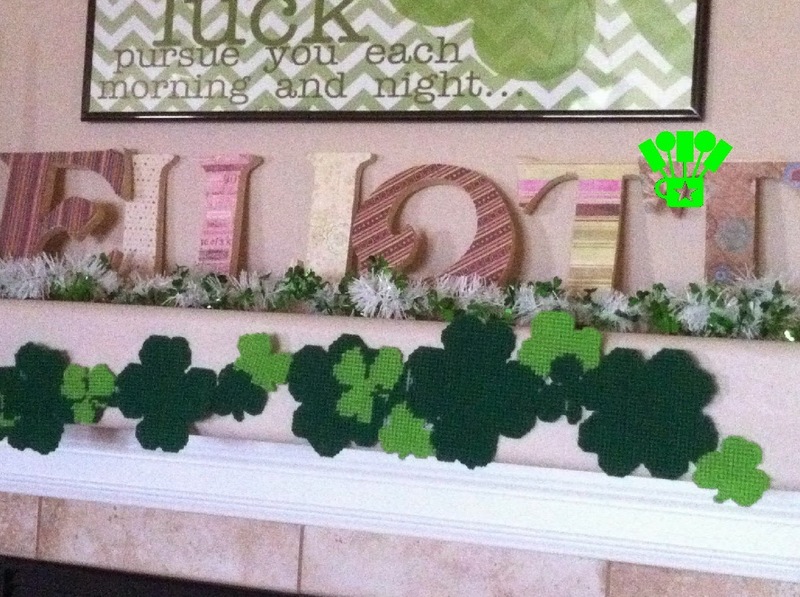 I wanted to take a break from my Divergent party today and enjoy a little Irish green with my St Patrick's Day mantel. When I was putting this together, I realized I don't have a lot of green decorations. I definitely think that is something I am going to need to work on so I can smother the house next year for St Patrick's Day. 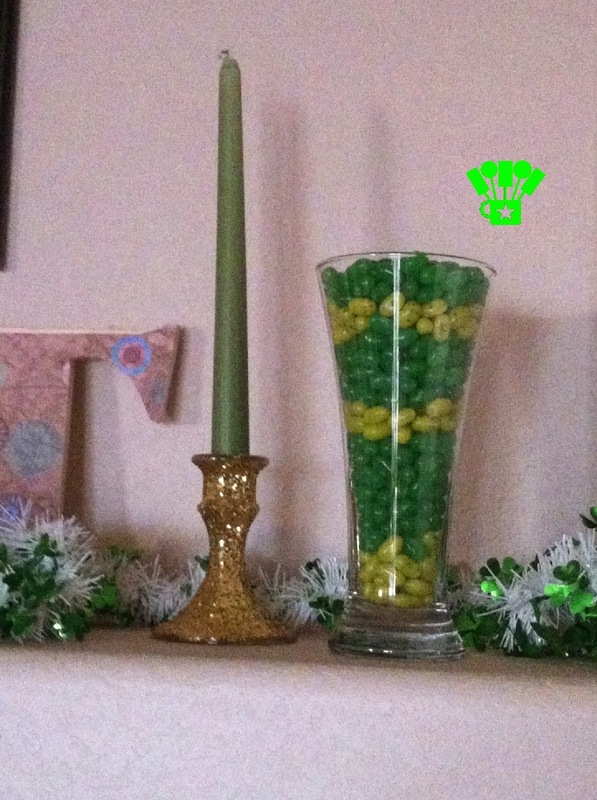 For now, I used most of the holiday decorations that I made for last years St Patrick's Day dinner on my fireplace mantel. 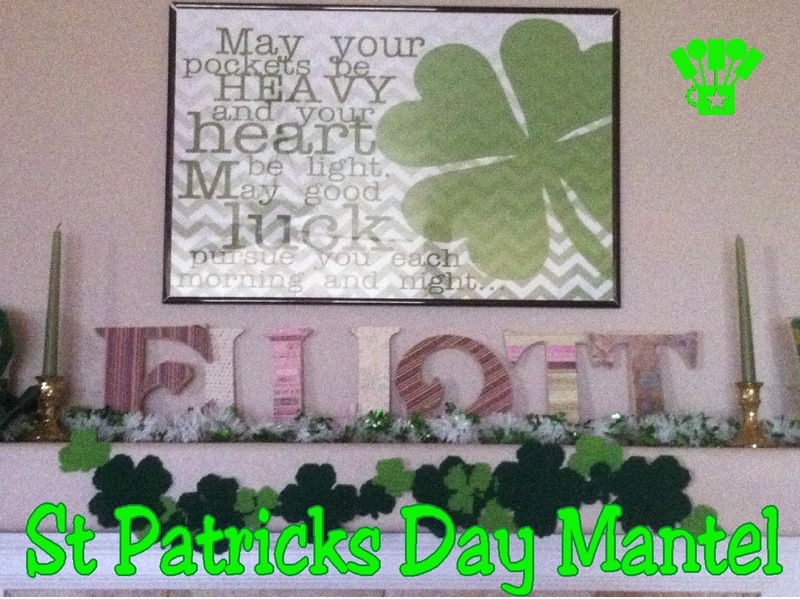 I started by winding some Metallic Shamrock Garland along my mantel and around the Elliott letters that are a staple of my fireplace mantel. Along the edge of the mantel, I used some Command Small Refill Strips (didn't I tell you these were the best things ever?) to hang the Plastic Canvas shamrock table runner that I made last year. while Green Jelly Bellies and the other candle stick are on the other side. Above my mantel is my monthly frame. 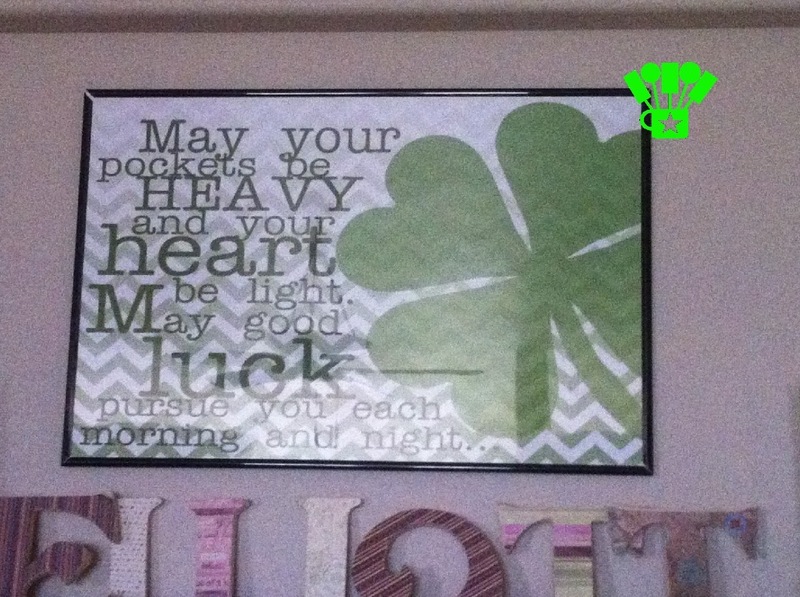 I found this Irish blessing at The Daily Quotes.com. I blew it up at Walgreens when they have their 40% off poster sale and put it in my rotating frame. I do like how the St Patricks Day Mantel turned out. I will need to get a few more decorations for next year, which unfortunately (evil grin) means I need to go shopping tomorrow for clearance decorations. Oh the problems of a wanna-be decorator. In the meantime, go check out my St Patricks Day pinterest board for lots of fun and green ideas. And be sure to download my free Leprechaun Poop candy topper printable for a great laugh with the kids! 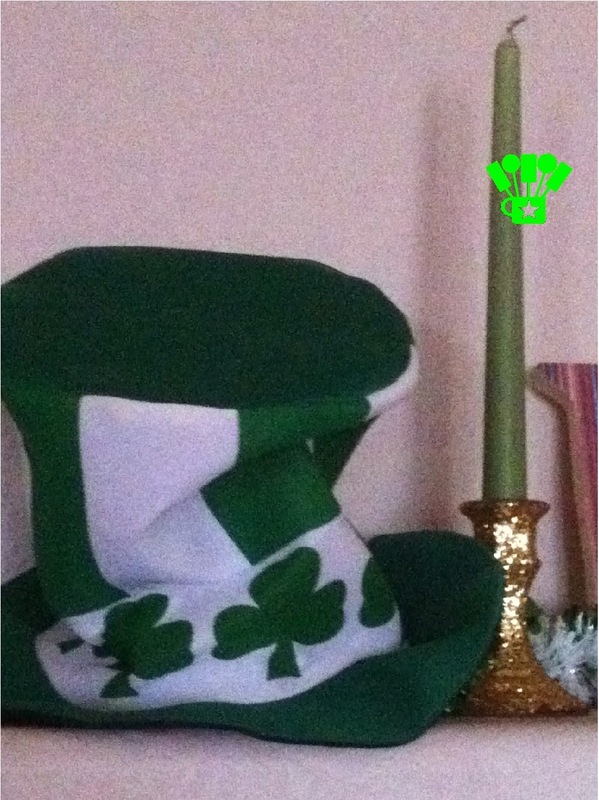 Follow Kimberly Elliott's board St Patricks Day on Pinterest.